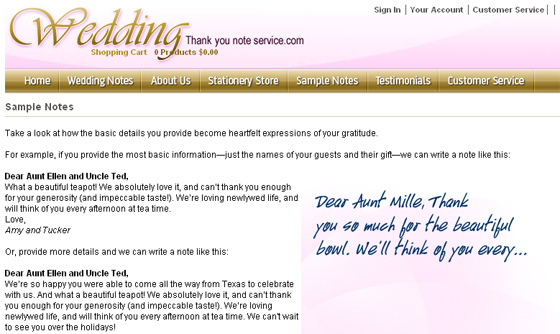 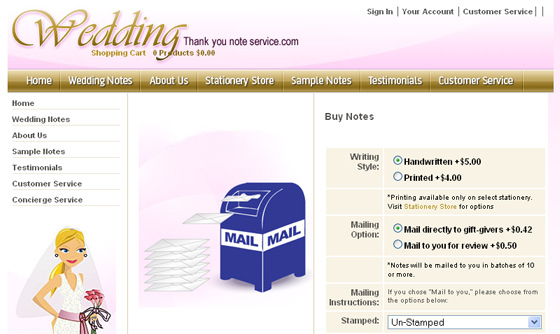 Wedding thank you note service is the pioneer provider for hand written note service. 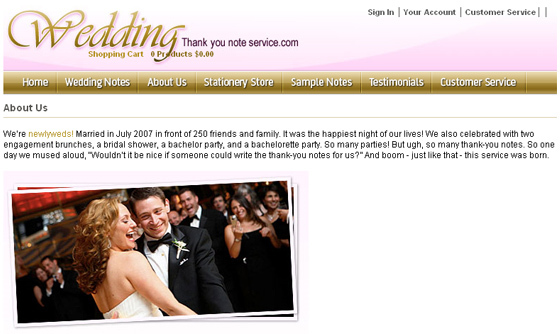 IBCnet was hired to create a customized content management system to provide their clients an easy interface managing their notes, while providing an easy management module. 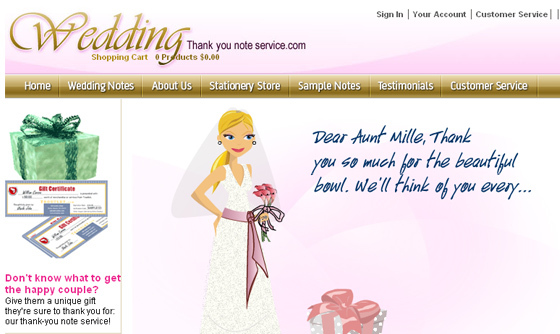 ASP.NET 1.1, MSSQL 2005, IIS, VB.NET, CSS, HTML, and Java.